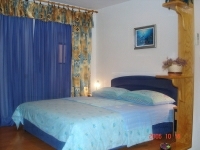 Apartments " Lenni " is located in the center of the old town of Korcula. The building is 550 years old. The firs time renovated 1985 year. The second time 2005. 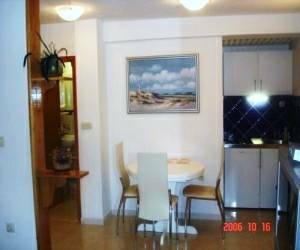 The apartments " Lenni " are very comfortable in modern style. 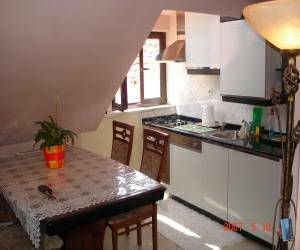 There is extra offers from the apartments " Lenni " We can meet you on the airport or in Dubrovnik and take you to Korcula town with own mini bus. We also take the guests to the beach and restaurants in the midle of the Island. Island tour and visit Mostar or Medjugorje. 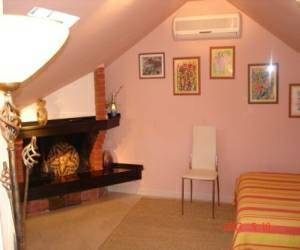 There are three apartments studio for 2 + 1 persons. There is a double bed and an extra bed. 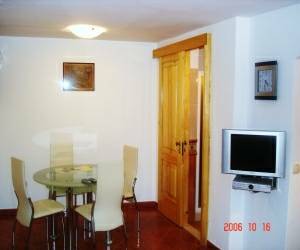 The apartment studio has it's own bathroom, satellite-tv, kitchen, washing-machine, air-conditioning and wi - fi connection very comfortable in modern style. Three double rooms hs it's own bathroom, satellite-tv, refrigerator, tea/coffee maker, air-conditioning and wi - fi connection. 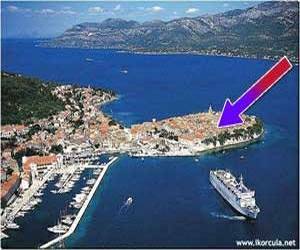 Apartments " Lenni " is located in the center of the old town of Korcula. 50 meters down-stairs there is the first beach and many restaurants and bars. There is also museum art just 30 meters from the apartments, cathedral and Marco Polo house just 50 meters away from the apartments. Many gift shops. Museumart is just 50 meters away from the apartments. Cathedral is 50 meters from the apartments. Marco polo house ( museum is 50 meters away from the aprtments. Many gift shops are just 50 meters from the apartments. Just next street. good food fresh fish. View to the ocean. Mix food. If you enter in the old town up-stairs, fourth street on the right down-stairs in the middle of the street there is apartments " Lenni "
Bus terminal is 100 meters away from the apartments. Ferry port is just 50 meters away from the aprtments. We are always meet the guests in front of the ferry or bus with sign " Apartments Lenni " if they phone us a day before and let us know exactly arrival time.